The installation of a top-quality fence can do so much for your outdoor property. If you want to enhance the safety and attractiveness of your property, you should consider adding a fence to it right away. You can do so by reaching out to the crew here at Scott Design & Construction located in Allen, Texas. Eric Scott is at the helm of our local company. He’s been involved in the commercial and residential landscaping fields in the area for about two decades now. He has a deep passion for assisting people who want to create memorable and striking outdoor settings on their properties. If you want to be the best neighbor possible, you should think about getting a fence. 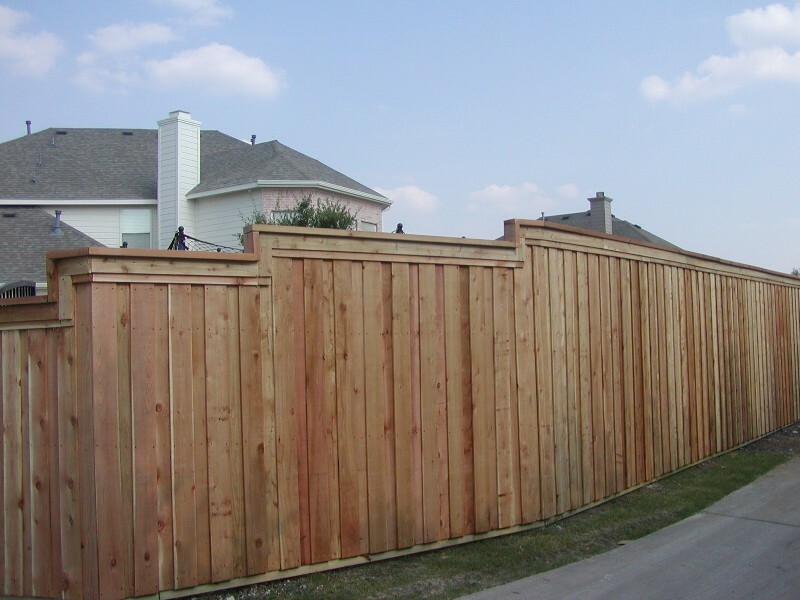 The advantages of fence installation are beyond plentiful. A fence can give you the luxury of enhanced privacy. Fences can create discreet environments. If you want to lounge around in your backyard without having to worry about nosy people in your neighborhood staring at you and failing to mind their own affairs, a fence can be a major help. A fence can do more than stop others from looking at you, too. It can also in many cases absorb sounds. Fences can be terrific for security purposes. They can be especially helpful to people who have small children or pets. If you want your young kids to be able to play outdoors in a secure setting, the addition of a fence can be indispensable. A fence can stop a young child from wandering off. It can keep four-legged friends secure and where they need to be as well. Getting a fence can also be helpful to people who wish to avoid legal headaches. If you have a fence, it can stop others from accidentally falling into your inground swimming pool and injuring themselves. This can provide you with a significant degree of peace of mind. A fence can be wonderful for pure visual reasons, too, plain and simple. If you want to enhance the look of your outdoor space, getting a fence can work well. A fence can make your home look like a million dollars. There are choices that come in many exciting colors and designs. It doesn’t matter what your tastes are, either. You should be able to install a fence that can complement the vibe of your outdoor space perfectly. A fence, last but definitely not least, can do your property’s curb appeal a massive favor. That means that it can boost its value considerably as well. If you want to give your property the value upgrade it deserves, getting a fence may be wise. It may make selling your property a lot simpler, too. If you want to find out more about our fence options, contact us now for an estimate. Scott Design & Construction has a reputation for fence installation that’s of amazing quality.